Remington 870 Express Tac-14 12 Gauge "Firearm"
Raptor grip is comfortable, and provides a steady hold. Muzzle has no bore constriction (choke), nor is it threaded for choke tubes. 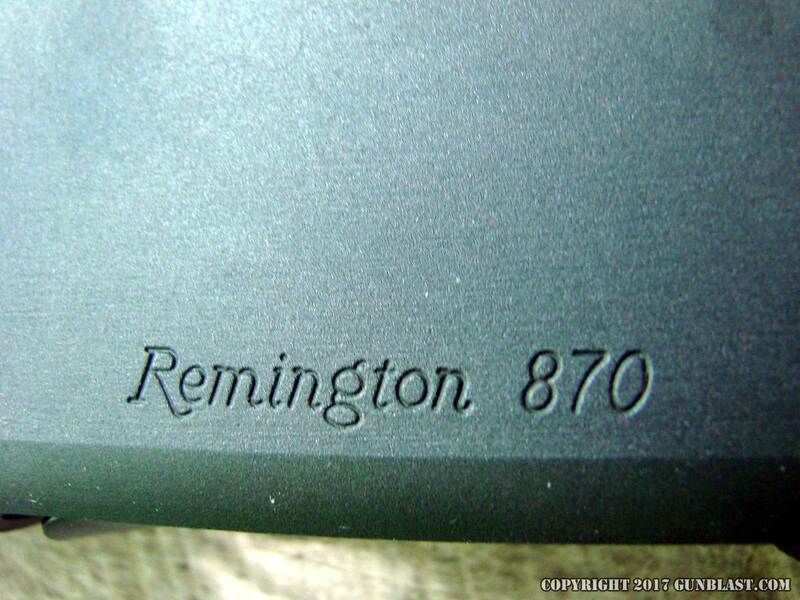 Since the inception of the Model 870 in 1951, Remington has sold in excess of ten million of those smooth-shucking pump shotguns. 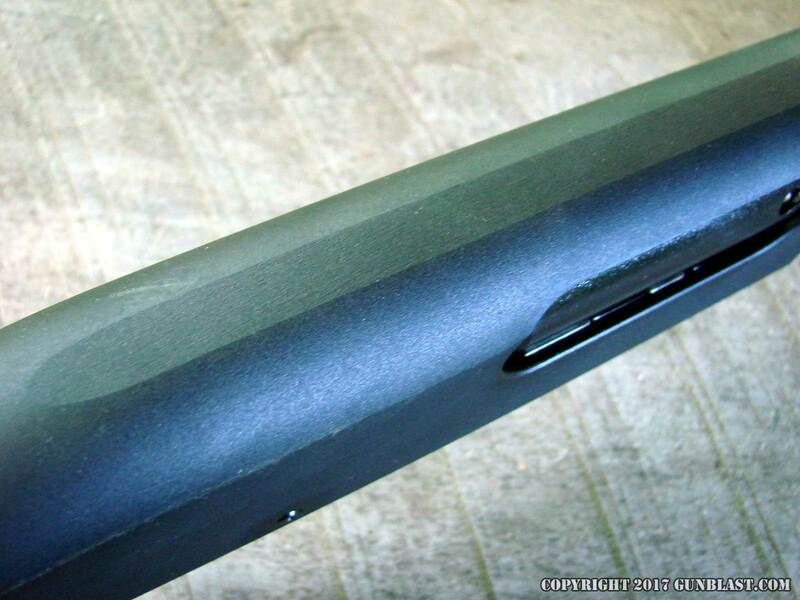 The design has proven to be rugged, reliable, and affordable, and has been made in many variations and grades of decoration over the decades. 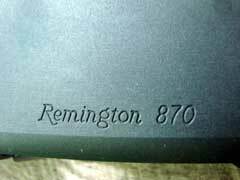 Chambered for every popular and semi-popular gauge and bore diameter, the 870 has become a classic that shows no signs of slipping in popularity. 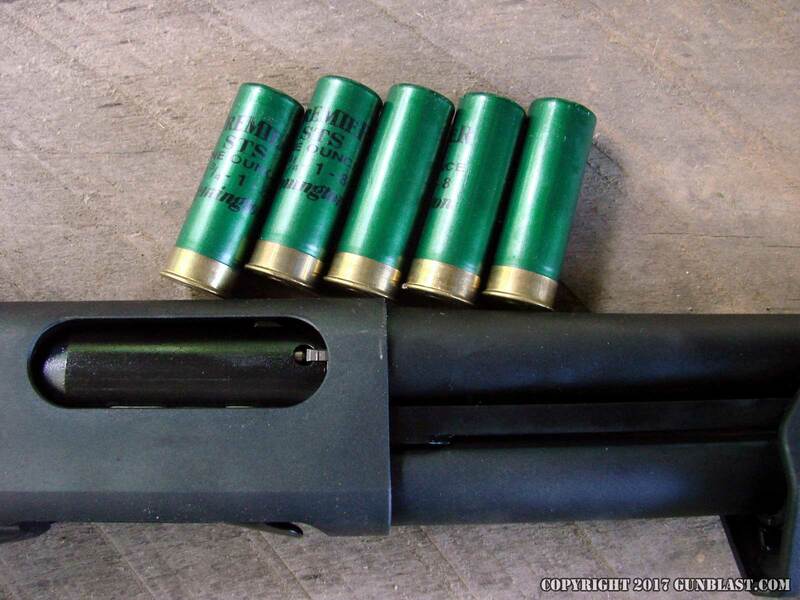 The latest variation of the 870 shotgun is not a shotgun at all. 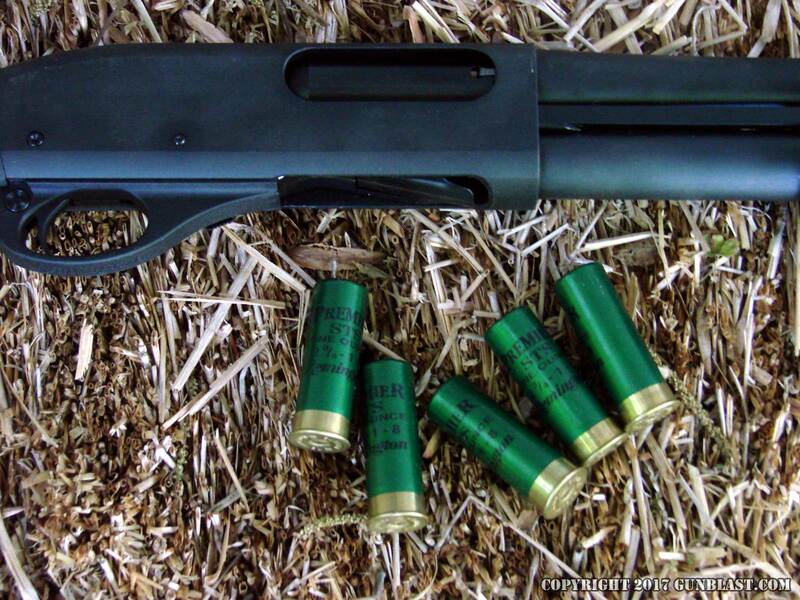 At least, not legally a shotgun. 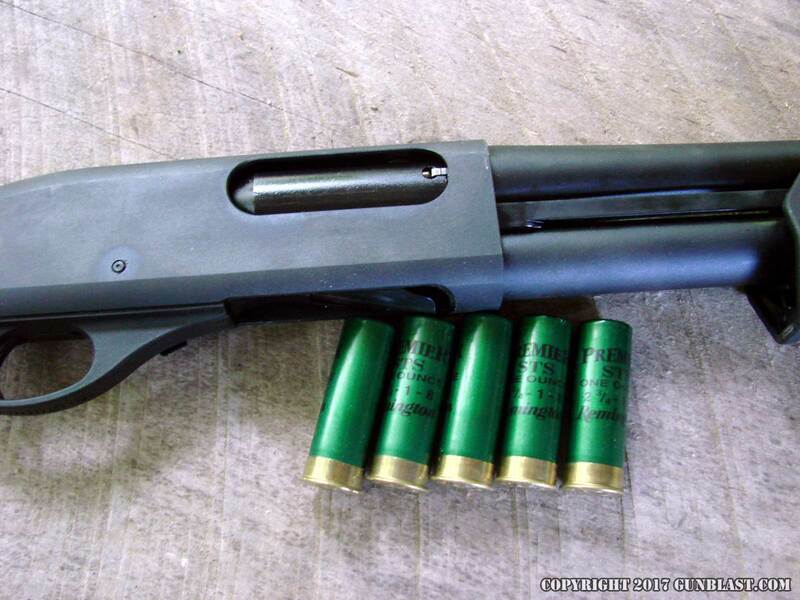 It is the 870 Express Tac-14 shown here, and according to Bureau of Alcohol, Tobacco, Firearms, & Explosives (BATFE) regulations, it is defined as a “firearm”; not a shotgun. 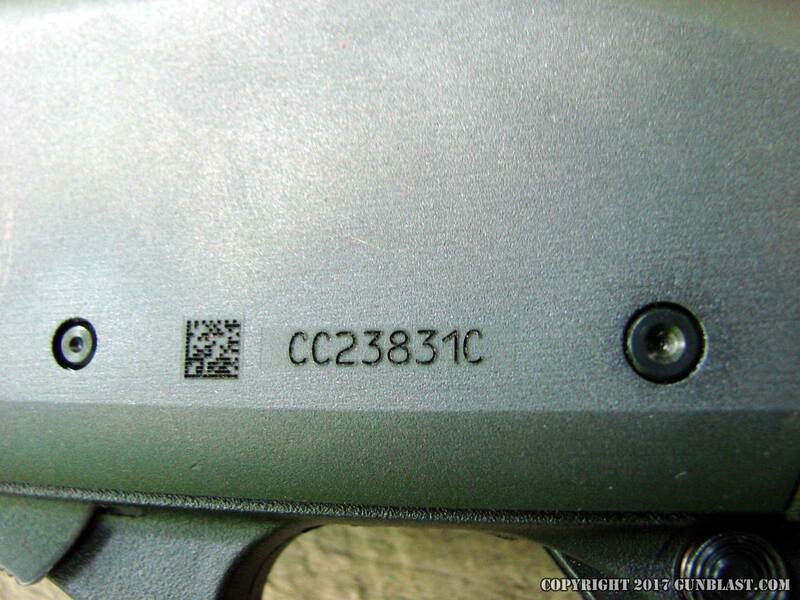 Because of this definition, the Tac-14 can be purchased in most localities within the United States with a simple Form 4473, and does not require any NFA (National Firearms Act) approval stamp. 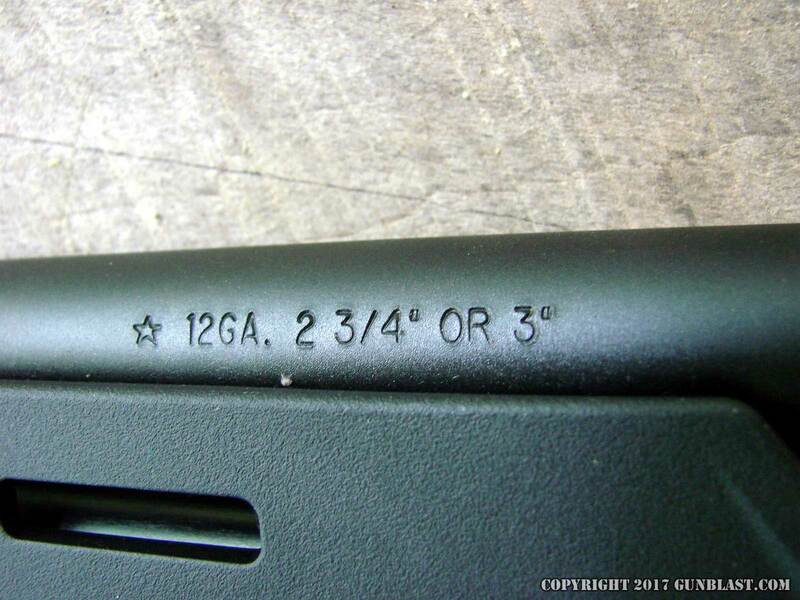 In other words, even though the Tac-14 wears a fourteen-inch barrel, it is not defined as a short-barreled shotgun (SBS) or an AOW (Any Other Weapon). 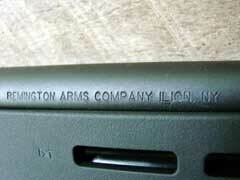 It has an overall length exceeding 26 inches, has no shoulder stock, and is therefore defined as a “firearm”. 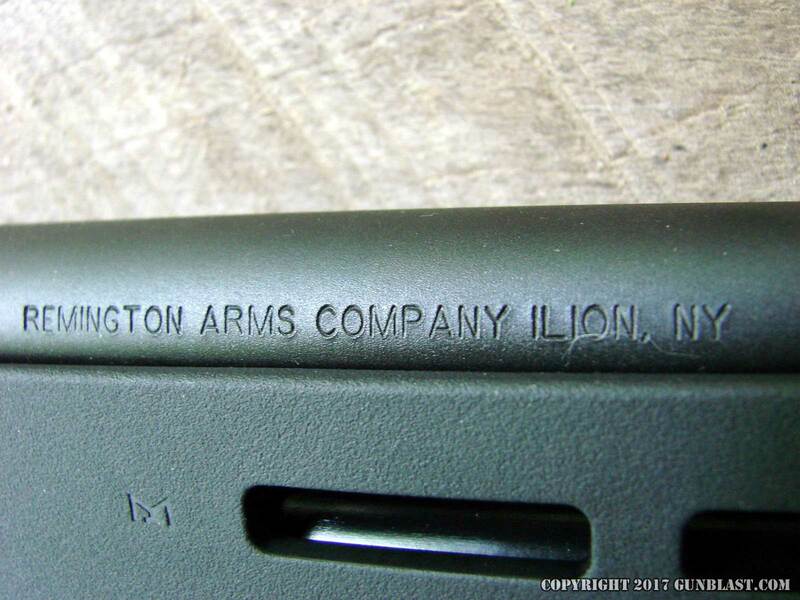 There is no requirement to ask the government “pretty please” and pay an extortion fee for the privilege of owning the TAC-14. 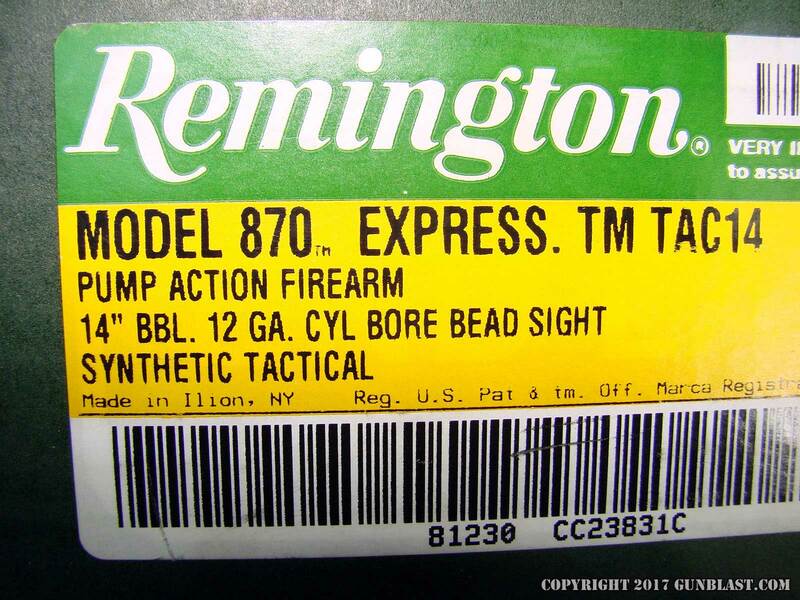 While it is legal to purchase in most jurisdictions, I have read unconfirmed reports that it is not allowed in some localities, as in many places, government officials are elitist pricks who do not trust the citizenry with proper weapons for defense of the home and family. 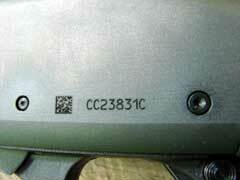 However, in most places here in the U.S., the Tac-14 is legal to own, as it should be. 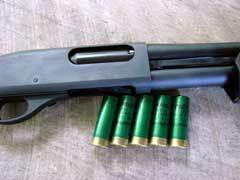 The Tac-14 is just a lighter, handier, shorter version of what is likely the most-popular pump shotgun on the planet. 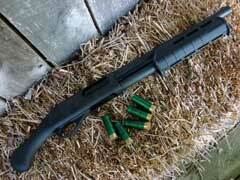 The 870 uses a steel receiver and twin action bars, and is one of the smoothest-shucking pump guns available. 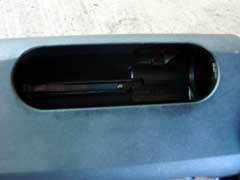 The safety is a crossbolt type set into the trigger guard. 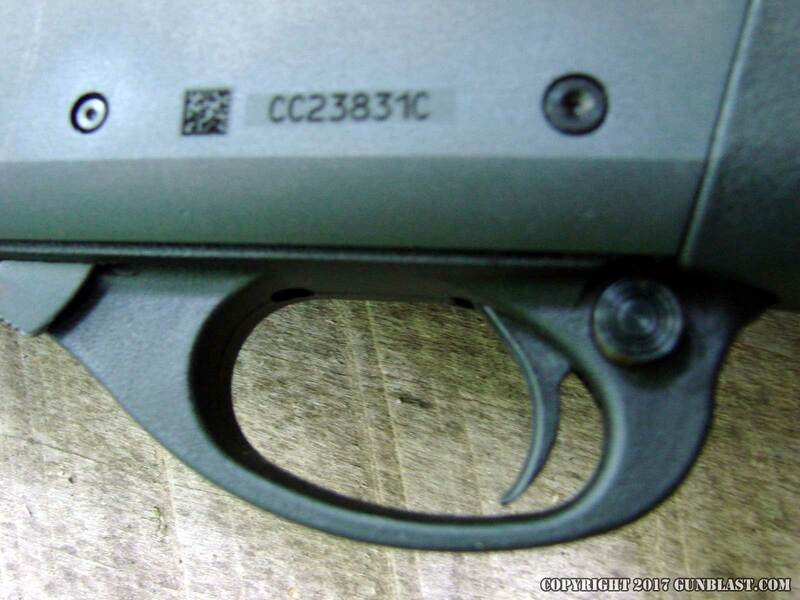 The trigger pull on this particular Tac-14 shown here releases with a crisp four and one-quarter pounds of resistance. 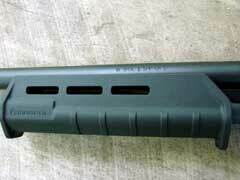 The TAC-14 weighs in at five pounds, ten ounces empty. 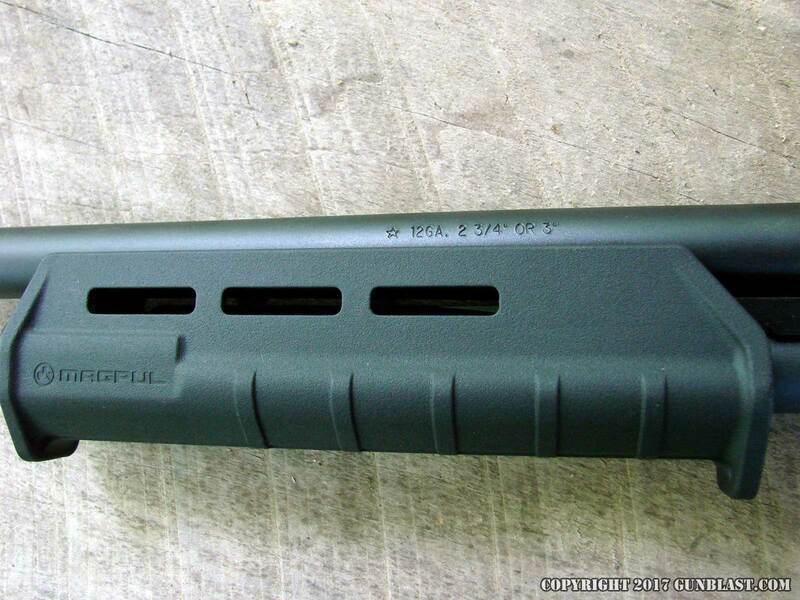 The magazine tube holds four rounds, and the weapon will chamber both 2 ¾ and 3 inch 12-gauge shotgun shells. 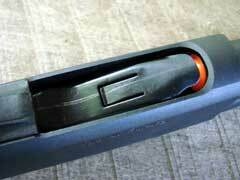 The barrel has no choke constriction at the muzzle, and the weapon handles both shot and slugs very well. 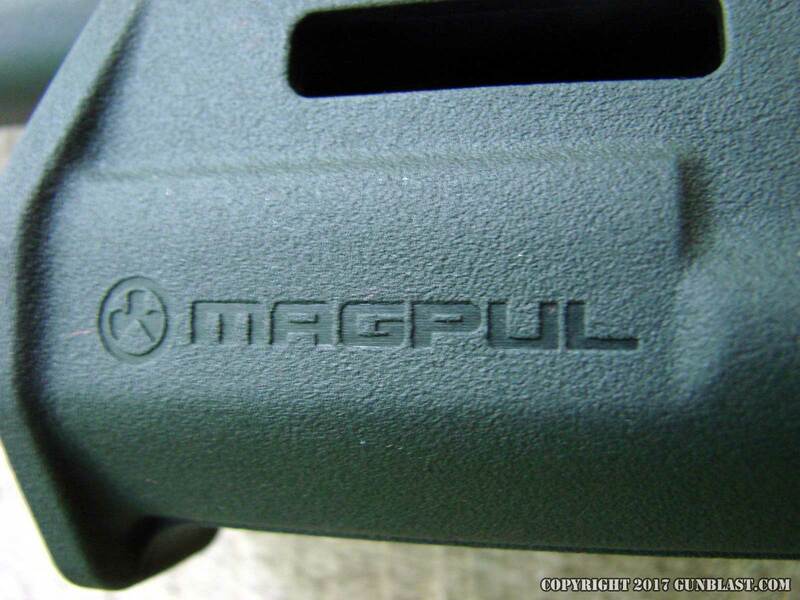 The Raptor grip on the TAC-14 is very comfortable to hold, as is the Magpul M-LOK forend. 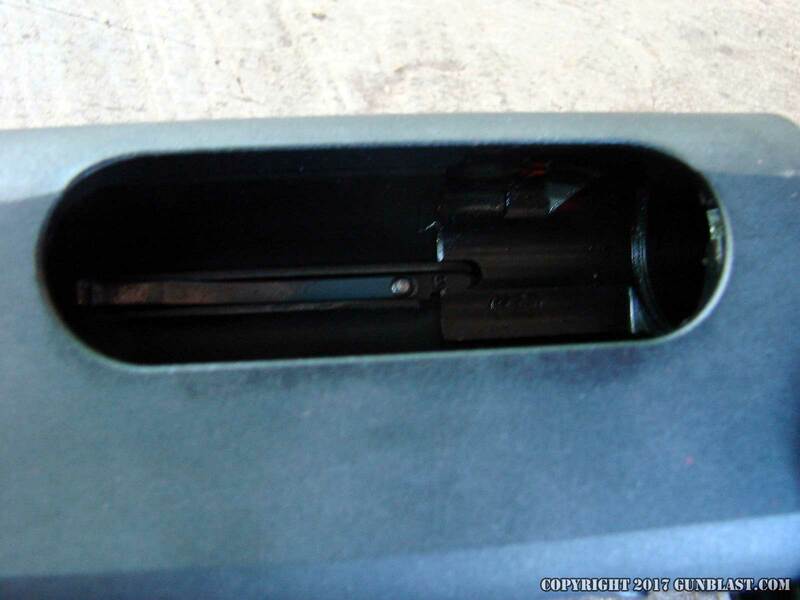 The barrel wears a simple bead sight, which works well. Like all 870 Express shotguns, the TAC-14 wears a matte black finish on the steel receiver and barrel. The TAC-14 comes with a magazine plug, just in case the owner wants to use it on doves or other migratory birds. 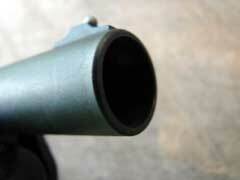 However, the weapon is built for social work, and it fills that role very handily. The TAC-14 is a very versatile weapon. 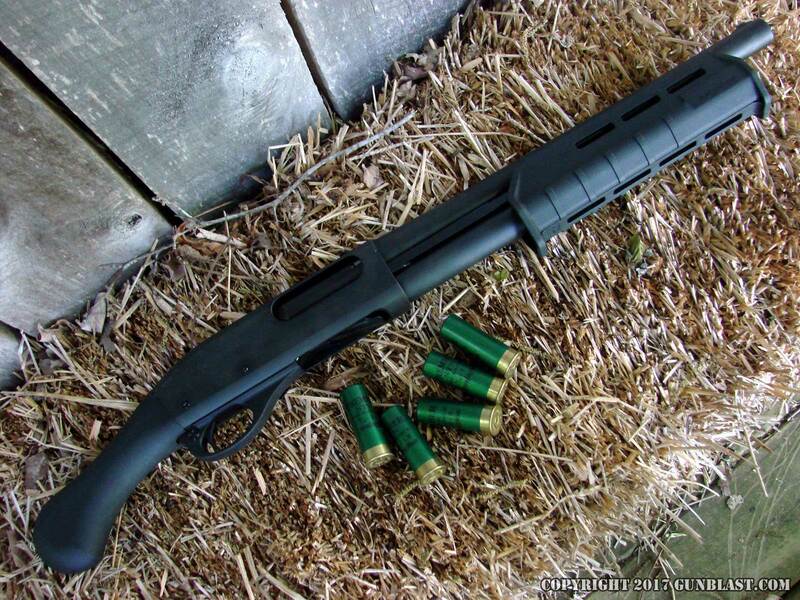 Exceedingly handy to maneuver is tight quarters or a vehicle, the 26.5-inch overall length and relatively light weight makes for a very useful and powerful weapon in situations in which there is just not enough room to effectively use a full-size fighting shotgun. 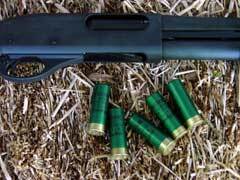 12-gauge ammunition diversity makes the TAC-14 a good choice for a bedside gun, no matter the type of dwelling in which you live. 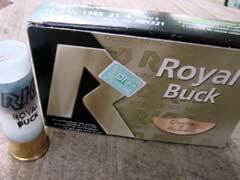 In most cases, it is hard to beat a good load of buckshot, and I keep a modest supply of both Number 4 buck and 00 buck on hand. 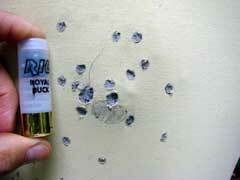 If I lived in an apartment or another dwelling in which there were other people in an adjacent room, with only a residential-type wall between us, I would keep the TAC-14 loaded with a good field load of number 5 birdshot. Across a typical residential bedroom, a load of birdshot is very effective, but loses velocity and power quickly after passing through a couple of layers of drywall. 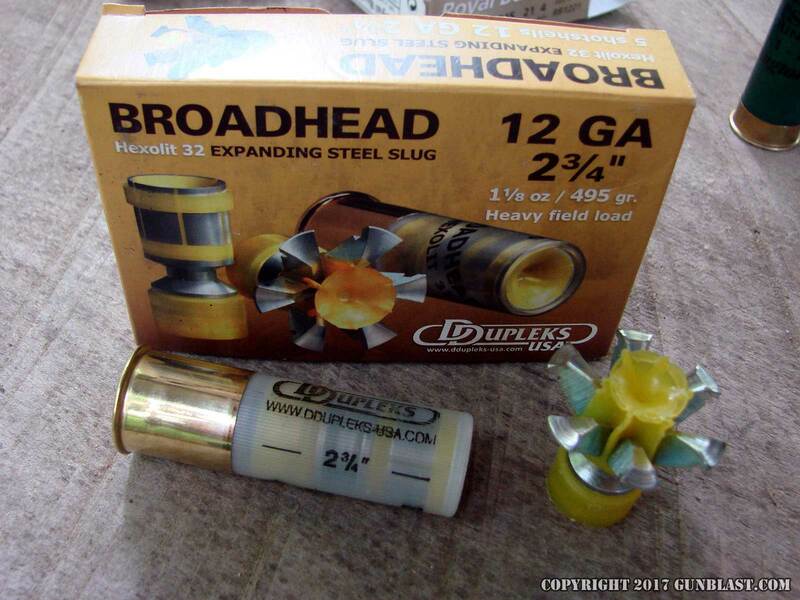 For distances out past thirty yards or so, a good slug of any type is effective, but one that I have been testing recently is the DDupleks Broadhead slug. 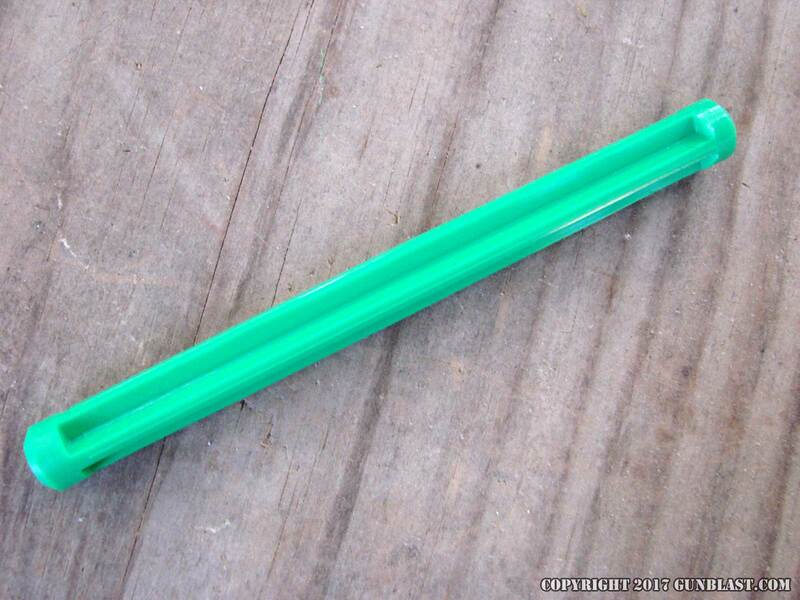 It has a steel core for deep penetration, and also has six steel petals which break off and go in six different directions upon impact, damaging tissue and blood vessels. 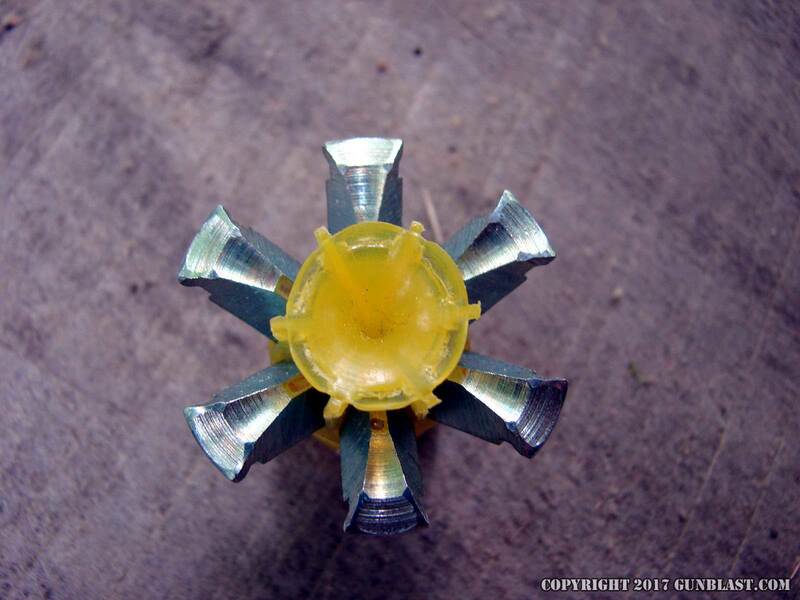 I tested the TAC-14 using several types of 12-gauge ammunition, from light target loads to heavy magnum buckshot loads, as well as the aforementioned Broadhead and Foster-type slugs. 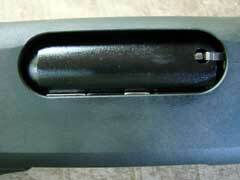 Every shell fed from the magazine smoothly, fired without fail, and ejected flawlessly. The TAC-14 is as reliable as an 870, because it is an 870. Perfect. 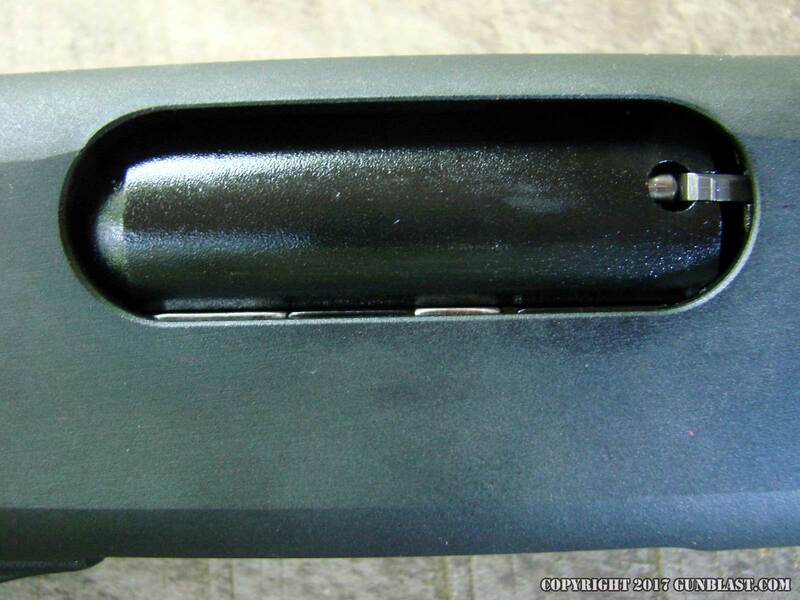 Since I know the question will be asked, no, the TAC-14 does not function with the short Aguila Mini-Shells, nor was it intended to do so. However, any 2 ¾ or 3 inch 12-gauge shotgun shell will work in the Tac-14. 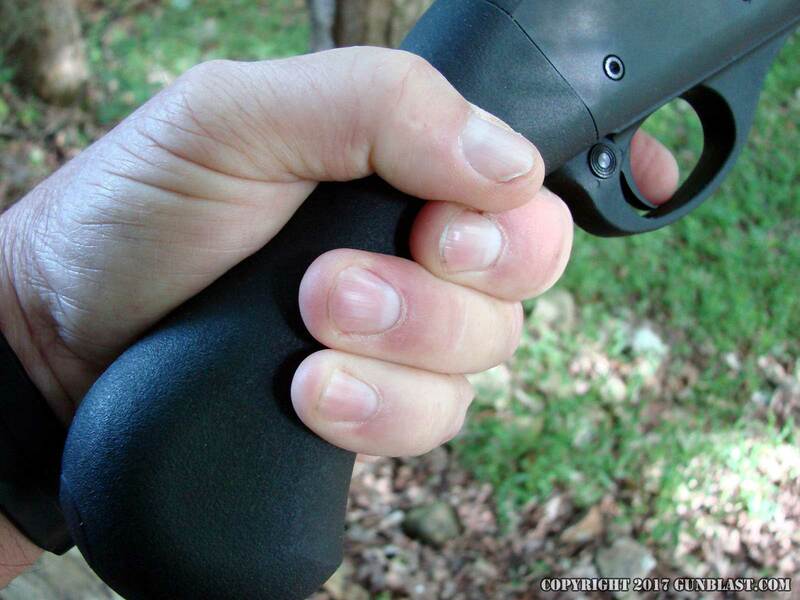 Recoil was about what would be expected from a sub-six-pound 12-gauge, but the shape of the grip and forearm makes the weapon easy to handle. Recoil with three-inch magnum loads can be heavy, but again, for an experienced shooter, it is not a problem to control. 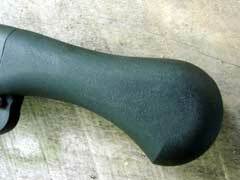 A novice would be better-served to begin with a different weapon. However, when a lot of power is needed in a relatively compact package, the TAC-14 is hard to beat. 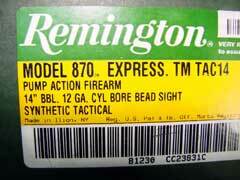 As of the date of this review, the suggested retail price of the Remington TAC-14 is $443.05 US. 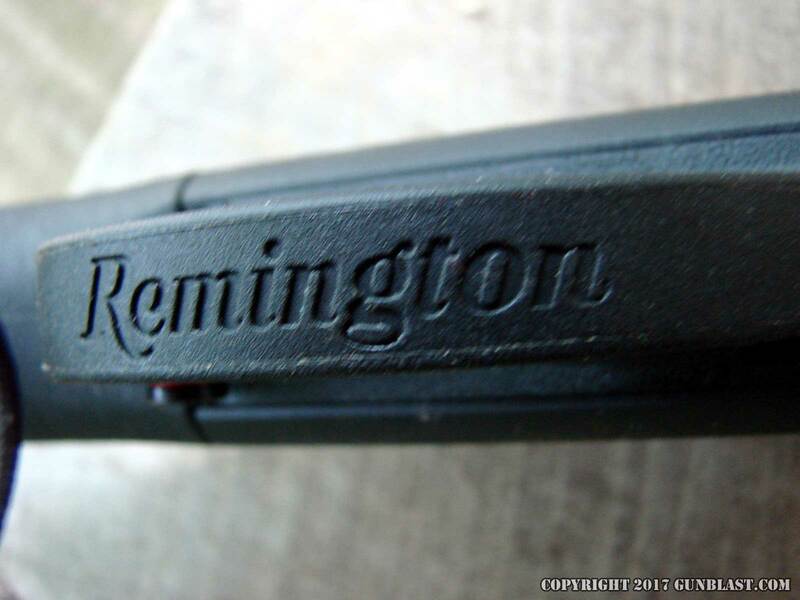 The Remington TAC-14 has a Limited Lifetime Warranty and is made in the USA. 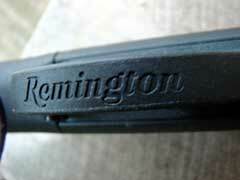 Check out the TAC-14 and other Remington products at www.remington.com. 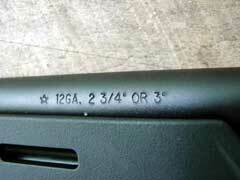 To order the TAC-14 online, click on the GUN GENIE at www.galleryofguns.com. To order quality 12-gauge ammunition, go to www.midsouthshooterssupply.com and www.luckygunner.com. 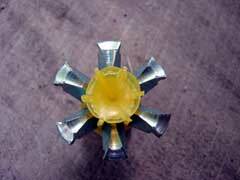 21-pellet load of Rio number 4 buckshot at seven yards.